NEW YORK, NY--(Marketwired - January 20, 2016) - On January 20th, the leaders, visionaries and strategists of the commercial real estate industry met in California for the Annual Winter Forum on Real Estate Opportunity and Private Fund Investing, hosted by IMN, the global organizer of institutional finance and investment conferences. Entering its 13th year, the conference is the largest real estate forum on the West Coast and is known to attract the top names in the industry. Prominent New York property developer and philanthropist Boris Mizhen was in attendance at the conference this year. Mizhen, who is well-known for backing successful business ventures and developing quality real estate to help improve communities, is honored to attend this year and looks forward to exploring the important issues facing the commercial real estate industry in 2016. The forum, held at the famed Montage Resort and Spa in Laguna Beach, is a three-day-long event that hosts insightful presentations and discussions on the most pressing issues in commercial real estate. Attendees have an opportunity for an in-depth look at how challenging macroeconomic factors like rising interest rates, the oil price shock, and the upcoming presidential election will impact real estate and investment. Debates are expected to be passionate, as career CEO's, managers, developers and other experts come together to analyze, strategize and come up with effective solutions for navigating the current economic and political landscape. Boris Mizhen was honored to join the best minds in the industry, including finance and development gurus like Money360 CEO Evan Gentry and Scott Purcell, the Founder and CEO of Fund America. Mizhen, who owns and manages dozens of properties in the US and has founded several successful online companies, is constantly searching for ways to grow personally and professionally. As he is known to say, "the world is always developing, and so am I." This year's IMN Real Estate Opportunity and Private Fund Investing forum is anticipated to be one of the most important events in the industry due to the stellar networking opportunities and rigorous agenda. 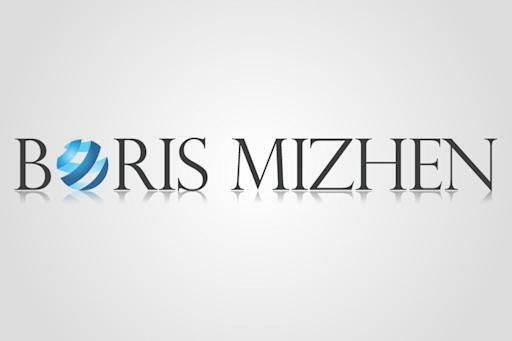 Boris Mizhen is a successful real estate developer and entrepreneur. With a unique business instinct and tireless work ethic, he has created a number of thriving online marketing companies and owns and manages several commercial real estate properties throughout the northeastern United States. Resident of New York City, Mizhen is a strong supporter of numerous charities and groups that benefit the community, including Chabad of the Shoreline and the Jewish Foundation of Greater New Haven. He is passionate about his work, and equally dedicated to improving the lives of others as shown through his intensive philanthropic work and generous donations.